Colorado Hi-Fi specializes in designing custom home theaters and HD TV installation for any audiophile's budget in the greater Denver metro area. We are music and movie maniacs and are ready to help you 'pump up' your surround sound and video entertainment system, all for a great price. 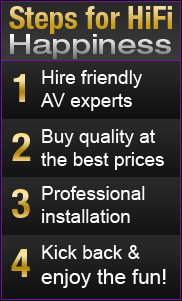 Since 2001 our HD TV installers offer premium sound speakers and HD TV systems for any budget. With the recent closing of many "super stores", finding an AV expert opinion that doesn't cost a fortune is harder to find. 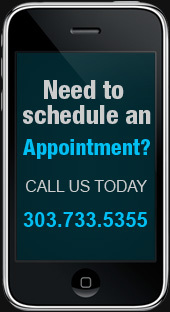 Colorado Hi-Fi has 20+ years of experience in consumer audio and video equipment dating back to 1985. We know what you need, (and what you don't need), so you can design a custom home theater with a killer custom surround sound installation that will last for years to come. 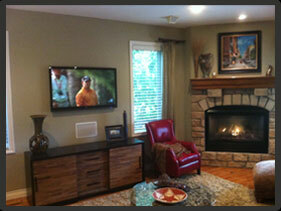 Thank you for the awesome installation of our flat screen television. We love the media cabinet you found for us (at a great cost, by the way) and we can't even see the cable wire that you restrung outside. Thanks again for making the installation easy and our living room much more livable!